Firms involved with the iPhone supply chain may be forced to extend their Lunar New Year holidays over the reduced orders, according to sources of DigiTimes, citing low order visibility for the iPhone X, iPhone 8, and iPhone 8 Plus. Some suppliers are said to plan for a temporary halt in production in February to cope with the reduction. 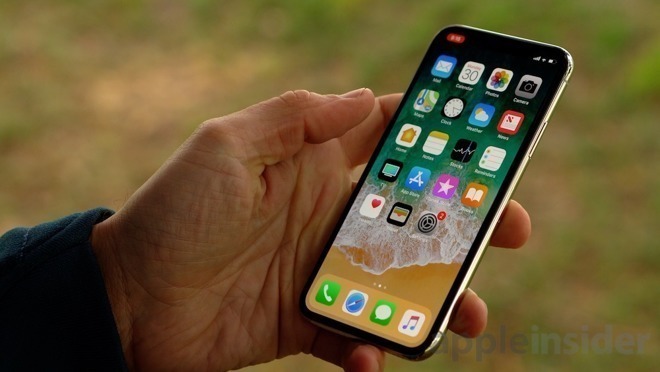 It is alleged iPhone component orders will drop by between 15 percent and 30 percent under first quarter expectations, with seasonal sales likely to be a factor in the reduced orders. Some report sources also claim the slower-than-expected iPhone 8 and iPhone 8 Plus sales have dragged down the momentum for the iPhone X. Order visibility apparently started to decline in the fourth quarter of 2017, with it particularly affecting the iPhone 8 and iPhone 8 Plus orders, with the sources blaming the slower sales for the devices. Upstream suppliers providing memory chips, circuit boards, 3D sensing modules, and other parts are also apparently taking steps to control their inventory, to minimize the impact of reduced component orders. Earlier supply chain rumors about the iPhone X speculated that orders would be trimmed because of its high price, with one report suggesting orders would drop from 50 million units to 30 million. Analyst Jun Zhang of investment firm Rosenblatt Securities countered these claims, stating in late December there has been no evidence of further post-holiday cuts to iPhone X production, but at the same time suggested reports may actually be referring to cuts in the iPhone 8 and iPhone 8 Plus production. While the order reductions may seem to be a major issue for the supply chain, it is worth noting that this is the first time Apple's launched three flagship devices within the same year. Increasing from supplying for two devices to three is almost always going to cause changes to the way the supply chain operates and related expectations, especially for such major products manufactured in high quantities. Apple has previously warned to avoid reading to much into speculation into the supply chain, as its size and complexity makes it a difficult task to spot specific trends. Outside rumors, analyst estimates, and supply chain reports, the first opportunity to see the impact of the iPhone X on sales will be Apple's first quarter financial results, which will be released on February 1 accompanied by a conference call for analysts. While Apple typically supplies figures for iPhone sales as a whole, the results and conference call are likely to feature some indication from the company itself about how its latest flagship devices are faring.